The history of the moccasins is very long. It started a long time ago when Amer Indians invented them in order to hunt animals and they wanted to be more silent, to not be heard by animals. Of course, in time they evolved a lot. On these days, you can buy any design, color, all these depending on your needs. Actually, it depends a lot of your outfit combination, and depends on the moment of the day. 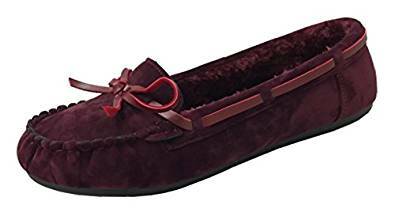 The moccasins could be the ideal choice for a woman. Their main quality is, without any doubt, the comfort. Well, yes, comfort is essential, moreover, if we are talking about a pair of shoes. This part of our look is very important. Yes, we say that because the health of the feet and the health of your back is an issue which you should take into consideration. 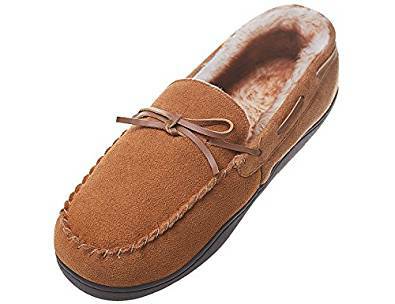 Alongside comfort, moccasins are also very chic. This is the reasons why they manage to maintain in trend for such a long time. They look very nice, it is impossible not to admit it. Versatility it is another important aspect. They could be used in various combinations. Surprisingly for you, moccasins can be also integrated in a office look. Of course, it depends on your inspiration to find out the best possible combination. If your employer allows you to have a casual look then, it is perfect. If not this shoes can be also integrated in a office attire, not a very formal one, that is clear. Of course you are not going to go a pair for a business meeting wearing a pair of moccasins. Be inspired and try to imagine various and interesting looks using a pair of moccasins. They look absolutely great, and due to their versatility you could use them in almost any situation.